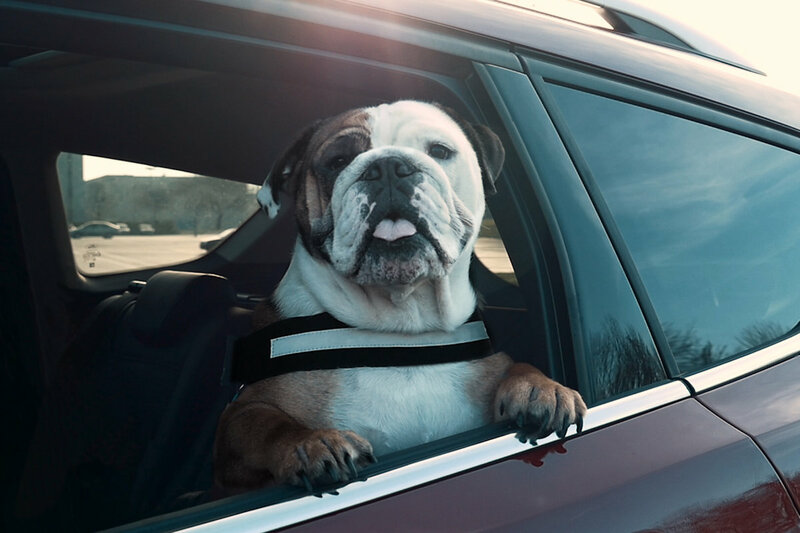 A new survey commissioned by Ford shows that 32 percent of dog-owning drivers admit to not securing their pets safely in the car. To do so is a legal requirement in many countries, and it is recognized that this is not only safer for the animals but also for drivers, passengers, and other road users. Of those dog owners surveyed who said they did not always secure their pets, 32 percent said it was because the animals did not like it, 31 percent claimed there was no need when undertaking short journeys, and 14 per cent said they did not have room for a dog crate. More than 1 in 4 of those who carried their dog unsecured admitted that their pet had poked its head out of the window (26 percent). Some said pets had previously jumped out of the window resulting, on occasion, in the pet being killed or injured. Owners also admitted being involved in accidents after being distracted by their pets, that dogs had turned on indicators, obscured the view ahead, and bitten occupants. It's been estimated that if a car crashes at a speed of 40 km/h, an unrestrained dog can develop projection forces that are 40 times its weight. With that, a 10-kilogram dog would carry enough force to become a 400-kilogram projectile. Ford recommends that all dogs be properly secured either in a crate in the cargo hold (for SUVs, and wagons) or buckled up in the backseat.